These Cream Cheese Garlic Ranch and Veggie Appetizers are probably the BEST family favorite appetizer! Especially for getting those picky eaters to eat their veggies!! I make these for lots of holidays like Christmas, Thanksgiving and really any family get together’s. They are just deelish! 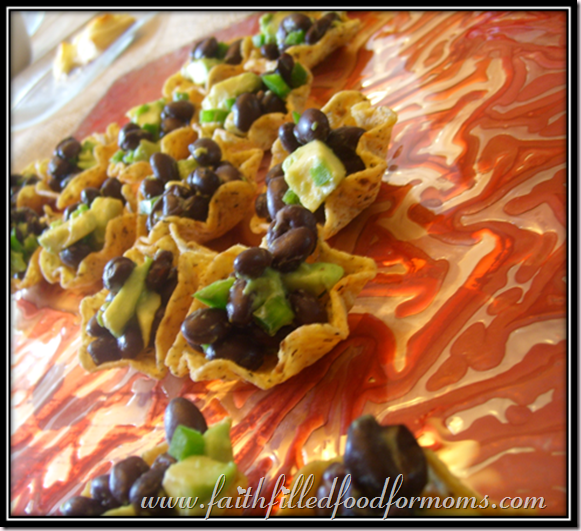 Appetizer are my very favorite foods to make! Nothing, no way and no how! 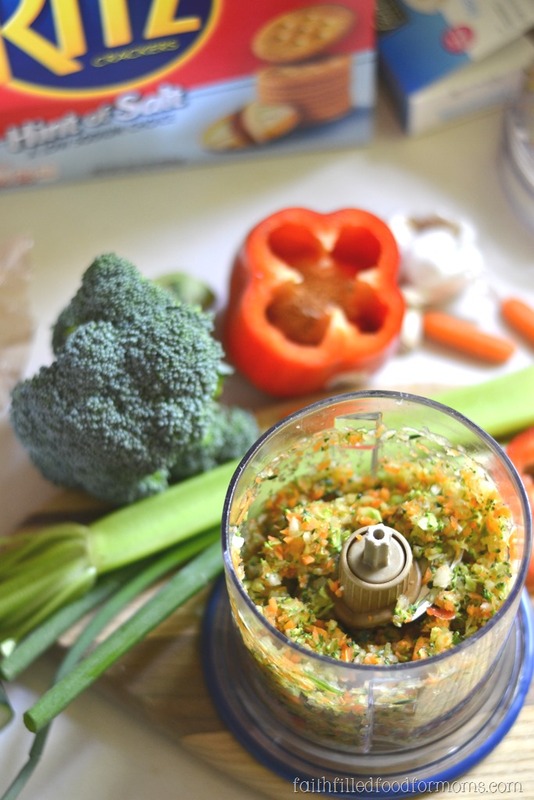 Until about 5 years ago… I stumbled on this deelish Garlic Ranch Spread…and now my kids will even eat their veggies as long as they are topped on this deelish spread! Veggies ~ any kind you have in the frig! Simply put Cream Cheese, Minced Garlic Cloves, Ranch Dressing and Mayo into a bowl and stir. Set Garlic Ranch Spread aside and chop your veggies. I use a blender for this, to save time. I throw everything in and in seconds they are chopped. 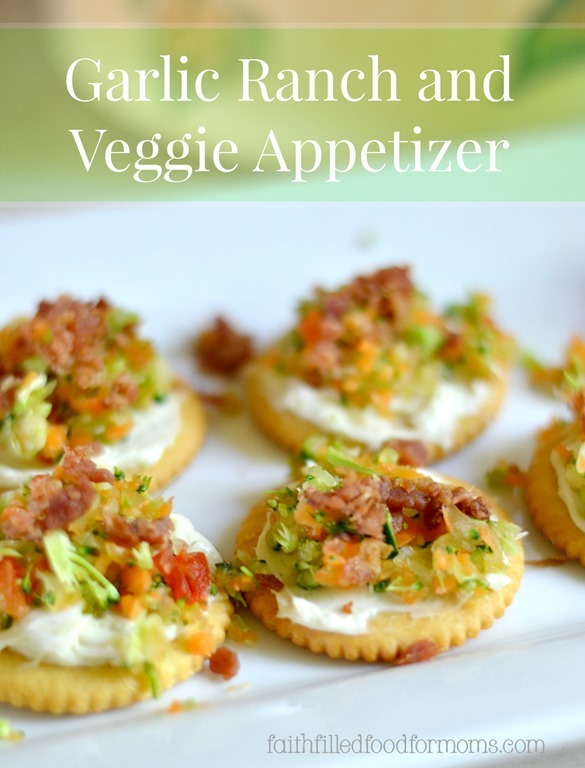 Now spread the Garlic Spread on the RITZ® Crackers and top with Veggies and Bacon Pieces! Your family and friends will LOVE these Garlic and Ranch Veggie Appetizers. 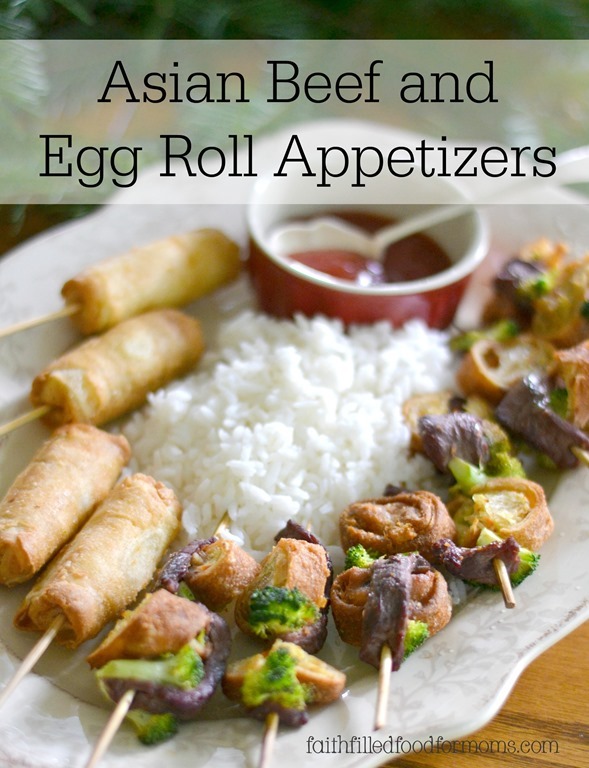 Hop over and find out just how easy they are to make. How simple is that! 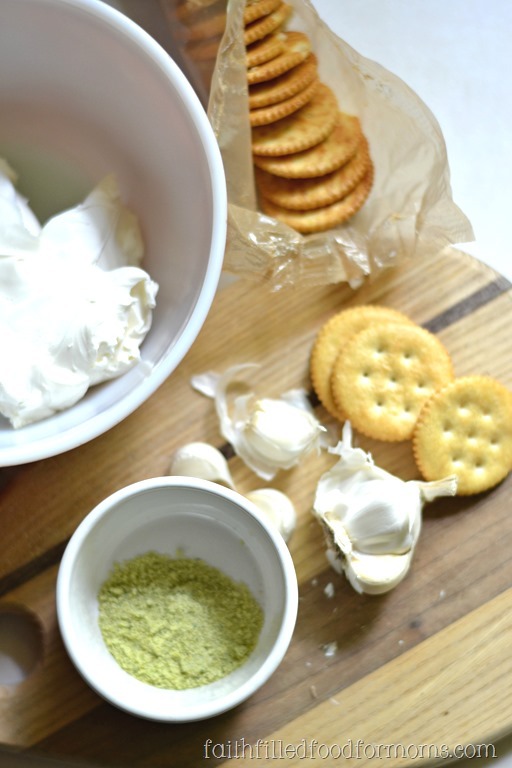 I kid you not…my kids LOVE this Garlic Ranch Spread on RITZ® Crackers ..even with Veggies! So if you’ve tried all of the things that I have tried to get your kids to eat veggies and have had no luck…try this little trick. YUM! So many different kinds of RITZ® Crackers to choose from. 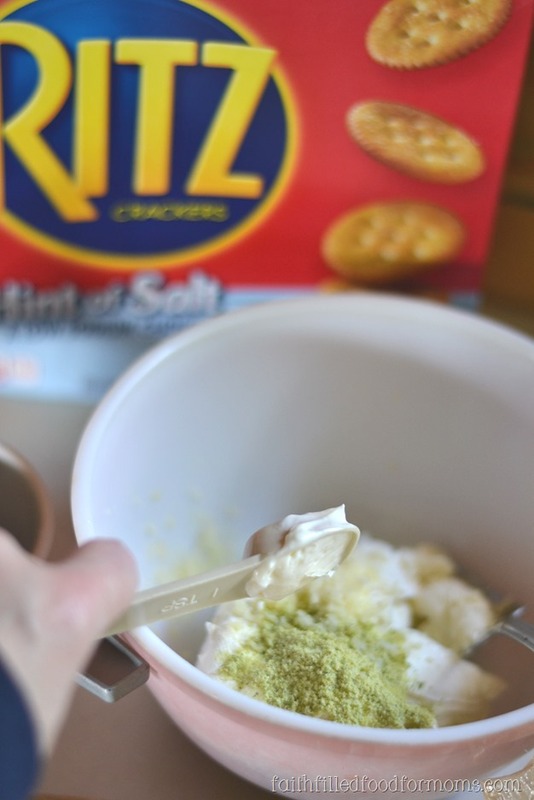 Which is your fave and tell me what you love to top on your RITZ® Crackers. 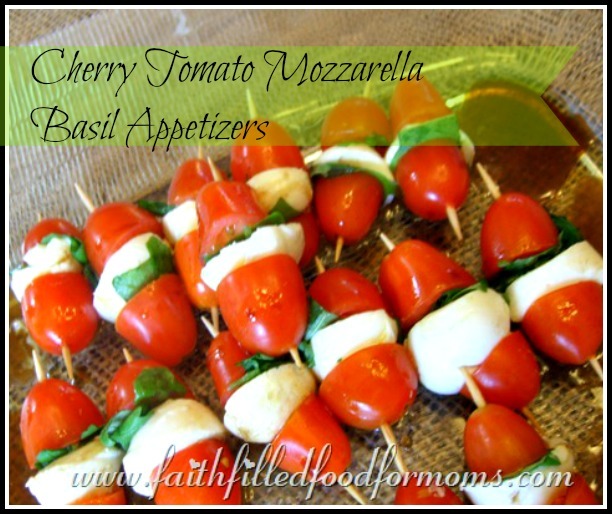 These Cream Cheese Garlic Ranch and Veggie Appetizers are so easy and so deelish! Even veggie haters love them! Simply put Cream Cheese, Minced Garlic Cloves, Ranch Dressing and Mayo into a bowl and stir. Set Garlic Ranch Spread aside and chop your veggies. I use a blender for this, to save time. I throw everything in and in seconds they are chopped. 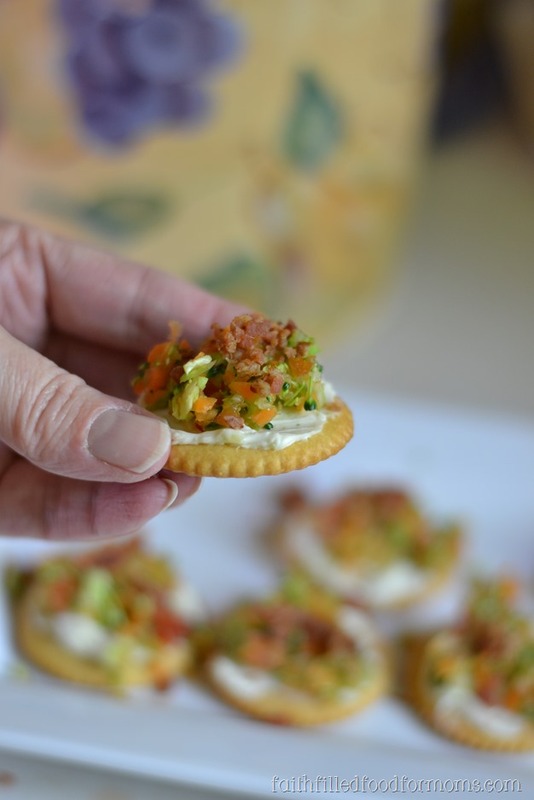 Now spread the Garlic Spread on the RITZ® Crackers and top with Veggies and Bacon Pieces! 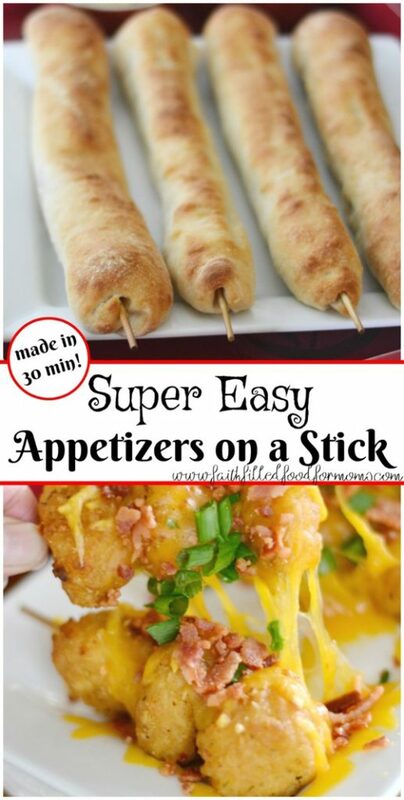 These sound easy enough to make but they look so amazing!! Great images! Pinned it! Saying hello from Family Fun hop. Pinning – because these look so wonderful! Thank you for sharing with us at Brag About It! These looks so good! Would it be worth it to mix the veggies in the cream cheese mixture? My son loves spreads and dips, but oh dear, he is the messiest eater ever. Thanks for sharing on Merry Monday. Pinning. Oh yum! It would be hard to save some of these for the kids! 🙂 Thank you for sharing your wonderful recipes on the Art of Home-Making Mondays this week! Wow, great idea of having vegetables on Ritz crackers.#Delicious dish Tuesday. YUM! Ritz crackers are my favorite. This would be perfect for any party!